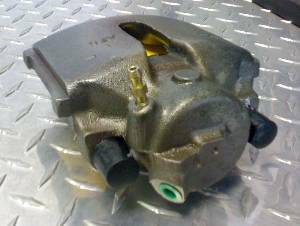 Our price covers a core caliper, parts and labor to clean, check, and rebuild caliper to OEM spec. Performed by one of the united states largest an most respected parts re-manufacturers just for us. Covered with a 1 year warranty. We encourage you to send in your old core calipers. You will receive a credit* for each caliper sent in! That makes this an affordable way to fix your E30 with no down time. Image shown is for example. At times, not all calipers are available from stock. Please contact us if you need to. * Credit depedant on condition of caliper received.